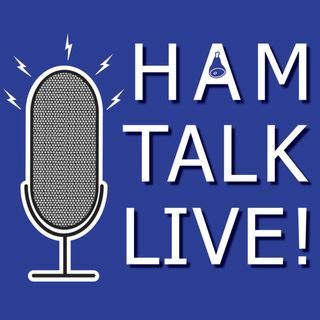 Episode 50 - Joe Goes to Xenia: A Sneak Peek at Hamvention’s New Home | Ham Talk Live! Tonight we're gearing up for the Dayton Hamvention! Joe Eisenberg, K0NEB, is here to tell us about his recent trip to Xenia, OH and the Greene County Fairgrounds, which is the new home of Hamvention. We will take your calls LIVE as Joe tells us some of the early details of how the planning is coming along for Hamvention in a new location. Plus, it wouldn't be a show with Joe if we didn't talk at least a little about kit building. Joe will share with us some information about some ... Maggiori informazioni new kits like the Bayou Jumper. Join the conversation during the show by calling 812-NET-HAM-1 (812-638-4261) or by Skype at hamtalklive. Or, you can tweet us @hamtalklive.